A set of drop earrings with incredible volume, set with a curved halo of diamonds and sapphire centre stones for a luxury finish. The carat weight of both earrings combined totals to 0.20ct. 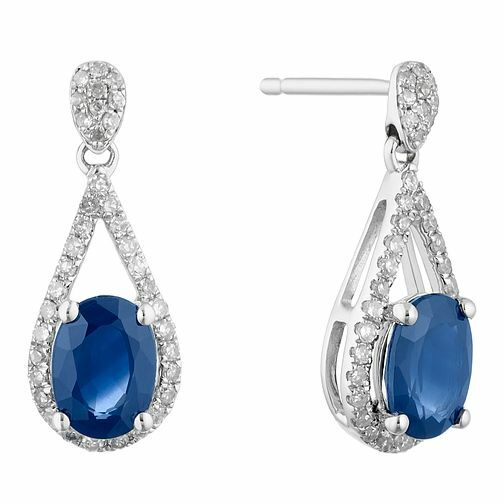 9ct White Gold Sapphire and 0.20ct Diamond Earrings is rated 5.0 out of 5 by 1.